SC4 campus tours are provided free of charge upon request. Prospective students are encouraged to contact the Admissions office to schedule a tour. Tours include visits to Student Services offices, buildings, classrooms and programs of specific interest. Request a campus tour by calling (810) 989-5571 or completing the form online at www.sc4.edu/request-a-tour. Admission to SC4 is open to all applicants who are high school graduates and those who have successfully completed the General Education Development (GED) diploma. In addition, students who have stopped attending high school, as well as home schooled students, are eligible for admission if their high school class has graduated by their intended semester of enrollment. Students seeking admission prior to high school graduation may be admitted on a semester by semester basis as a guest student. SC4 strongly encourages students to submit a Social Security Number on the application for admission. The Social Security Number is used as the single unique identifier that facilitates the coordination of a student’s academic record, especially those submitted by external institutions. Without the Social Security Number, the college cannot provide tuition-related Federal Tax Credit information, award federal/state financial aid and may have difficulty providing the accurate coordination of academic records. Application - Students are encouraged to apply online at www.sc4.edu/apply. Applications also are available from high school counseling offices, by contacting the SC4 Enrollment Services office at (810) 989-5500 or by printing a PDF of the application form online at www.sc4.edu/admissions. A record of high school grades, and/or GED scores, is required for certain applicants, such as student athletes. This record can be obtained by contacting the high school from which graduation occurred. If the high school is no longer in existence, students are encouraged to contact the Michigan Department of Education for further information. To schedule the Accuplacer assessment, students may follow this path within the portal: Student Resources > Support for Success > Testing Center. Click on “Get testing details” for available testing times or call the Testing Center at (810) 989-5555. Academic Advising - SC4 requires all students (college guests, readmitted students and college graduates being the only exceptions) to meet with an advisor. The advising appointment helps students plan for classes the first semester and obtain information regarding degrees/certificates. Call (810) 989-5520 to schedule an appointment or utilize the “Make an advising appointment” option under Bookmarks in your Student Portal. Activate SC4 Portal - The SC4 Portal is a critical piece of a student’s college experience. From within the portal, students can check student email, register for classes, request transcripts, view financial aid detail and more. A student’s SC4 acceptance letter provides portal set-up detail. Contact Enrollment Services at (810) 989-5500 with questions. Register and pay for classes - Once a student has completed the above pre-enrollment steps, class registration and payment may take place either online through the SC4 portal at portal.sc4.edu or in the SC4 Welcome Center. A registration statement may be printed that details class schedule and billing information once registration is complete. Registration/billing statements on college letterhead are available in the Welcome Center. There is a non-refundable student fee assessed once per semester. Get photo taken for Skippers OneCard - Visit the Testing Center desk to get a student ID photo taken. Students must provide photo ID (valid driver’s license, state ID or passport) to verify identity. For more information, call (810) 989-5555 or email skippersonecard@sc4.edu. Students who 1) did not graduate from high school or 2) did ot earn the General Education Development (GED) diploma or 3) may be homeschooled or 4) are beyond the age of compulsory attendance in high school or 5) earned a high school certificate of completion may be admitted to SC4. Contact the Enrollment Services office at (810) 989-5500 with questions related to the admission procedure. Students who do not hold a high school diploma or GED are not eligible for federal financial aid. Transfer students (i.e. those who have attended another college/university) are required to submit an SC4 Application for Admission to the SC4 Enrollment Services office. Students are encouraged to apply online at www.sc4.edu/apply. Applications also may be obtained by downloading a printable copy at on SC4’s website at www.sc4.edu/admissions or by contacting the Enrollment Services office at (810) 989-5500. Any college/university transcripts that the student wishes to have evaluated for transfer credit to SC4 should be submitted to the Records office for review. Certain transfer applicants, such as athletes, are also required to submit official high school transcripts. For more information regarding the transferability of courses, students may access the Michigan Transfer Network at www.michigantransfernetwork.org or contact the Records office at (810) 989-5550. Upon submission of the completed application, transfer students are required to meet with an SC4 advisor prior to enrollment. Once the appointment has been completed, students may register for classes online via their SC4 Portal account at portal.sc4.edu. Students need to obtain an Early Admission Application from a high school counselor, online at www.sc4.edu/counselors or in the SC4 Welcome Center. The application needs to be completed with the course(s) the student plans to register for listed on the application. Students must select a program of study even if not planning to pursue a degree at SC4. If taking classes for transfer to another college or university, please see the program offerings listed under transfer associate degree programs. If the student is younger than age 18 when applying, the application must be signed by a parent or guardian. For students who are not high school age (eighth grade or lower), admission may be granted on a conditional, semester-by-semester basis. Contact the Records office at (810) 989-5550 for details. SC4 requires all new students to complete pre-registration assessments of their math, reading and writing skills. The scores will be used to ensure proper course placement. Students may submit ACT or SAT scores, or schedule to take the Accuplacer assessments. A preview of the Accuplacer assessment is available at http://accuplacer.collegeboard.org/student/practice. Students are encouraged to visit the website prior to testing. The SC4 Portal is a critical piece of a student’s college experience. From within the portal, students can check student email, register for classes, request transcripts, and more. A student’s SC4 acceptance letter provides portal set-up detail. Contact Enrollment Services at (810) 989-5500 with questions. Once the above pre-enrollment steps have been completed, students may register and pay for any remaining tuition balance, if applicable, either online at portal.sc4.edu or in the SC4 Welcome Center. Some college courses cost more than the tuition cap indicated by the high school (if a student’s registration qualifies for dual enrollment). Students should be sure to pay any remaining tuition balance to ensure a seat in class. Dual enrollment: high school students may qualify to register under the Dual Enrollment Program established by the State of Michigan. Dual Enrollment is a form of payment whereby the student’s high school pays for college tuition and possibly other college-related fees. Additional questions regarding dual enrollment should be directed to the student’s local high school official or to the Michigan Department of Education at (517) 373-3324. Visit the Testing Center desk to get a student ID photo taken. Students must provide photo ID (valid driver’s license, state ID or passport) to verify identity. For more information, call (810) 989-5555 or email skippersonecard@sc4.edu. Must complete and submit the Early Admission Application form, including parent/guardian signature. Must complete assessment testing (i.e. Accuplacer) at SC4 to demonstrate college level skills in the areas of reading, writing and math. Must receive instructor permission for each desired class section before being allowed to register and attend classes at SC4. Students attending SC4 under Conditional Admission are considered “guests” to the college and must follow steps one and three above prior to each subsequent semester of enrollment until reaching the ninth grade. Guest students are not eligible to receive financial aid assistance and may have limited participation in college-related clubs and activities. Students attending another college/university in Michigan may be admitted to SC4 as a College Guest on a provisional basis by submitting a completed Michigan Uniform Undergraduate Guest Application. These applications are available in the Registrar’s office at each Michigan college/university, in the Welcome Center at SC4 and on SC4’s website at www.sc4.edu/admissions. College Guests must apply for each semester of enrollment. College Guest students are not required to work with an SC4 advisor prior to registration, nor are they required to meet prerequisites. Registration for classes may be completed online at portal.sc4.edu. For a complete listing of courses visit www.sc4.edu/schedule. 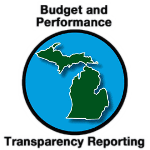 To review transfer course equivalencies, refer to the Michigan Transfer Network at www.michigantransfernetwork.org. College Guest students are responsible for working with their home institution to ensure course transferability. College Guest students are not eligible for federal financial aid. Former students who have not enrolled in SC4 college credit courses for two consecutive calendar years are required to complete an application for admission in order to reactivate their student status. The information provided is used to update a student’s demographic and academic information. Once a completed application has been processed by the Enrollment Services office, a student may register online via portal.sc4.edu. Former students are not required to see an advisor prior to registration. However, due to continuous changes in curriculum and Michigan college/university transfer information, an advising appointment is highly recommended. Students may contact Advising at (810) 989-5520 to schedule an appointment. Students seeking admission to SC4 who have completed an associate, bachelor, master or higher degree may do so by completing the SC4 Application for Admission. Students with a college degree are not required to see an SC4 advisor prior to registration but may schedule an appointment with Advising at (810) 989-5520. Once the application for admission has been processed by the Enrollment Services office, students can register online via portal.sc4.edu. NOTE: College graduates are required to meet course prerequisites prior to enrollment. St. Clair County Community College welcomes international students to its campus community. Applicants from other countries will be admitted on an individual basis. NOTE: Only Canadian commuter students are permitted to start in the summer semester. Submit a certified English translation of school records (high school transcript and diploma, and, if applicable, college transcripts). Submit an official statement of financial solvency for the amount of $22,479 ($15,745 for Canadian commuter students). It is required by St. Clair County Community College in compliance with regulations set forth by the U.S. Bureau of Citizenship and Immigration Services. U.S. consulate officials require evidence of financial support before a student visa is granted. Students may not include expected income from employment during the academic year or summer months as proof of resources. Submit completed Financial Resources form (found in the International Student Application for Admission). Submit a signed F-1 contract form (found in the International Student Application for Admission). Submit a handwritten personal statement in English (two pages maximum) summarizing educational and professional goals. Applicant must include plans for the future and how SC4 can help the applicant meet these goals. Applicants must provide proof of English ability by submitting official scores from the Test of English as a Foreign Language (TOEFL) or an ELS Language Center. No other scores will be accepted. Students must score a minimum of 512 on the paper-based version of TOEFL, or a minimum of 68 on the Internet-based version of TOEFL. The St. Clair County Community College code for TOEFL is 1628. The minimum ELS proficiency level required is 109. Students’ home countries whose official language is English need not submit English proficiency scores. Non-U.S. applicants also are exempt from the TOEFL requirement if they have completed one full academic year at a college or university in the United States as a full-time student. Applicants from Puerto Rico must meet the TOEFL requirement. Submit International Student Transfer form, if transferring from a U.S. college or university to SC4 (found in the International Student Application for Admission). NOTE: All admission documents become part of the student’s permanent file at St. Clair County Community College and cannot be returned or forwarded to any other institution. Upon completion of the steps listed above, students will be issued a Form I-20. Applicants are required to pay a $200 SEVIS I-901 fee when issued a Form I-20. The U.S. Department of Homeland Security offers a comprehensive guide to studying in the United States at https://studyinthestates.dhs.gov/. This is the fastest option. Go to www.fmjfee.com. Payment via credit card is required. Be sure to print your I-901 payment confirmation upon completing payment, as evidence of payment is a requirement of the visa interview. NOTE: A prospective F or M student with a country of citizenship or country of birth of Cameroon, Ghana, Kenya, Nigeria, or Gambia must pay by money order, Western Union Quick Pay, or certified check drawn from a U.S. bank. Please print clearly when completing the paper version of the Form I-901. Be sure to accurately complete all questions on the paper form. Even if paying the I-901 fee via the paper form, an I-901 payment confirmation must be printed from www.fmjfee.com. Evidence of I-901 payment is a requirement of the visa interview. International students are required to report to the SC4 International Students Specialist within 10 days of arrival to the United States. International students are required to complete pre-enrollment steps including academic assessments and academic advising before being allowed to register. Tuition for classes must be paid at the time of registration. St. Clair County Community College offers student housing. Visit www.sc4.edu/campus-life/student-housing/ for information. Students are not required to live in on-campus housing, but should have housing arrangements prior to arrival. All Canadian residents must apply for admission to the college by completing the International Student Application for Admission. Lambton County residents are charged tuition at the same rate as Michigan (out-district) residents. Additionally, St. Clair County Community College participates in a Tuition Reciprocity Agreement with Lambton College that allows Lambton County residents to be charged at in-district tuition rates. To qualify, students must enroll in a program at SC4 that is not offered, or is at capacity, at Lambton College. Students must receive approval from the Lambton College Registrar and submit the Tuition Reciprocity Form to SC4’s Registrar’s office, in order to be reassessed at in-district rates. Contact Enrollment Services at (810) 989-5500 or Lambton College at (519) 542-7751 for additional information. NOTE: The Lambton College Tuition Reciprocity Agreement is subject to change without notice by action of the Board of Trustees. All Canadian residents living outside Lambton County are charged international student tuition rates. Canadian students planning to commute must obtain a Form I-20 and pay the SEVIS I-901 fee, as the Form I-20 is required to cross the U.S./Canada border. Because SC4 is located within 75 miles of the port of entry, Canadian commuter students are permitted to attend part-time. NOTE: Part-time students are issued a Form I-20 for each semester of enrollment, and the SEVIS I-901 fee must be paid each semester. Students interested in enrolling in college credit classes at SC4 for the purpose of personal enrichment may do so without having to complete the admission requirements of first-time college students. Personal enrichment students are required to submit an SC4 Application for Admission, available at www.sc4.edu/apply. On the application, the student must designate the program “major” as PERPE - Personal Enrichment. The only remaining requirement is that the student must meet all course prerequisites prior to registration, including assessment tests, if required. Students enrolled in a personal enrichment program cannot use federal financial aid to pay for tuition and/or books.